James R. Davis (Naperville) - Book Appointment Online! 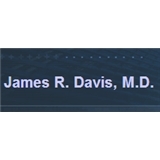 James R. Davis, M.D. has been serving the dermatology needs of the residents of Naperville and its surrounding communities since 1979. This visit was outstanding and one of the best I have had in several years. I highly recommend Dr Davis and his team. He was very attentive, advisory, skilled, knowledgeable and provided superior advice.